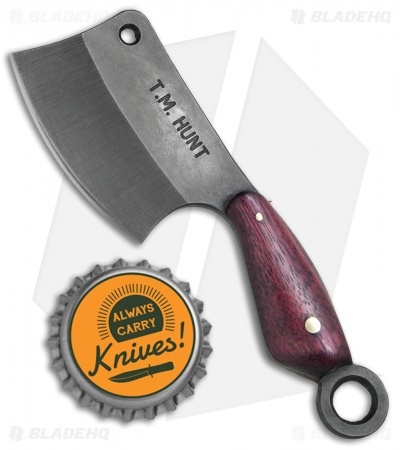 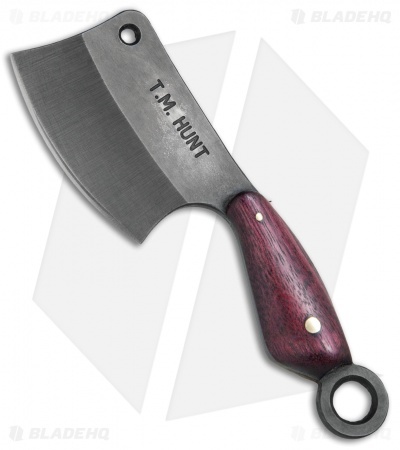 This "Leave it" Cleaver sports a black finished blade and a purple heart wood handle. 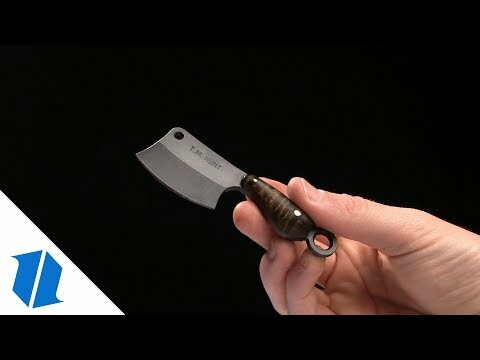 The "Leave it" Cleaver is a small keychain-sized cutting tool designed to be both fun and functional. This Cleaver features a full-tang O1 tool steel blade with a black finish and lanyard/key ring hole. Its handle has rounded heart wood scales fitted with brass pins. 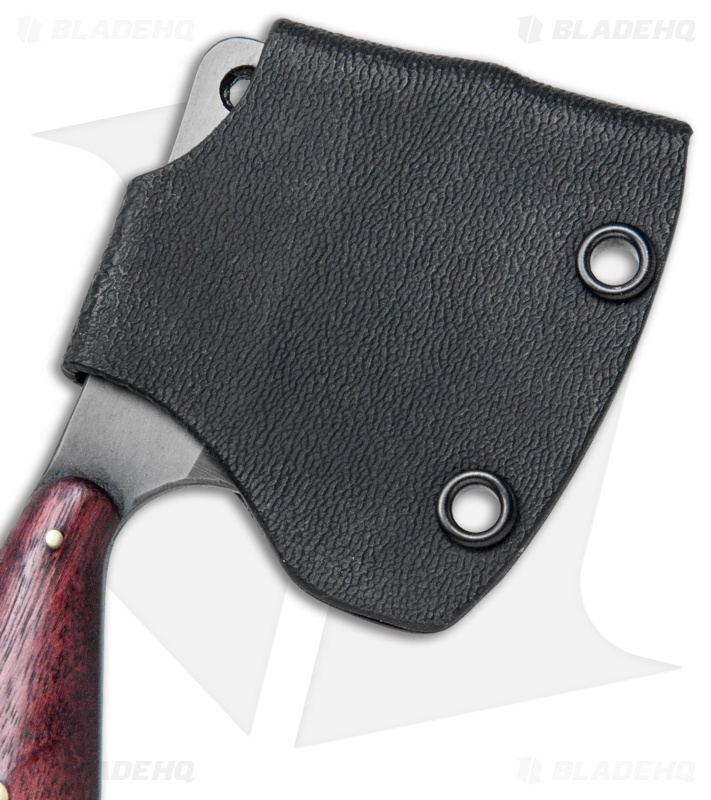 Comes with a secure molded sheath for safe carry.